As you probably already know, you need compressed air to operate you plasma cutter. In this article, what I am going to talk about is air quantity and air quality. Both will affect how you plasma cutter will perform. The following are what the technical specs for the Everlast and Hyperthem plasma cutters that I will be covering. 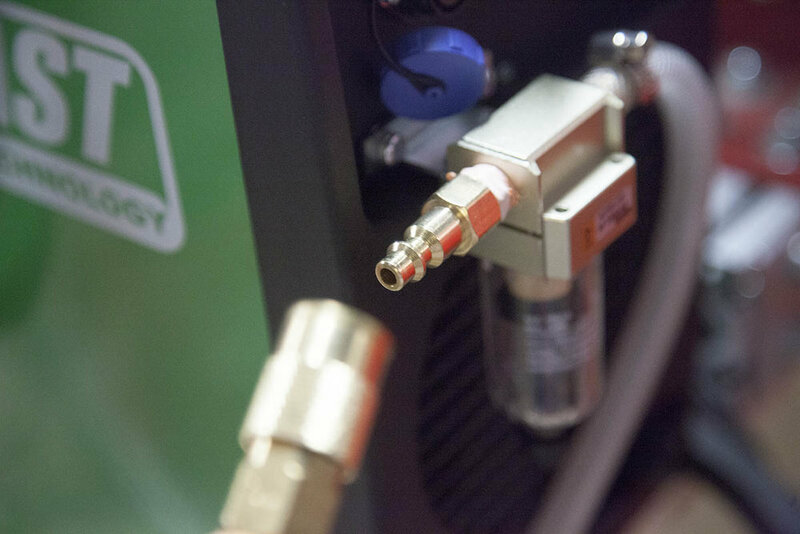 The Everlast PowerPlasma 50S requires 72-75 psi at 6CFM. The Hypertherm Powermax 65 requires 85 psi at 6.7CFM. This compressor only delivers 125 psi but only .7CFM at 90 psi. You cant even start the plasma cutter with this compressor. This little compressor delivers 125 psi and 2.35CFM at 90 psi. I have used this compressor with my Everlast 50S doing hand cuts. It does work but you can only do short cuts. If you are only doing quick cutoffs by hand this will get you buy. It wont work for extended cutting or with a CNC. This compressor will not work with the Hypertherm PM65. This compressor delivers 125psi and 6.6CFM at 90 psi. I can run my Everlast 50S all day on this compressor. It works with Everlast on a CNC, but will need to run the compressor a lot to keep up. While I had some limited success with this compressor with my Hypertherm PM65, I did not work well with the PM65 mounted on a CNC. It just could not keep up. This compressor delivers 155 psi and 11.5CFM at 90 psi. I upgraded to this compressor after purchasing my Hypertherm PM65. 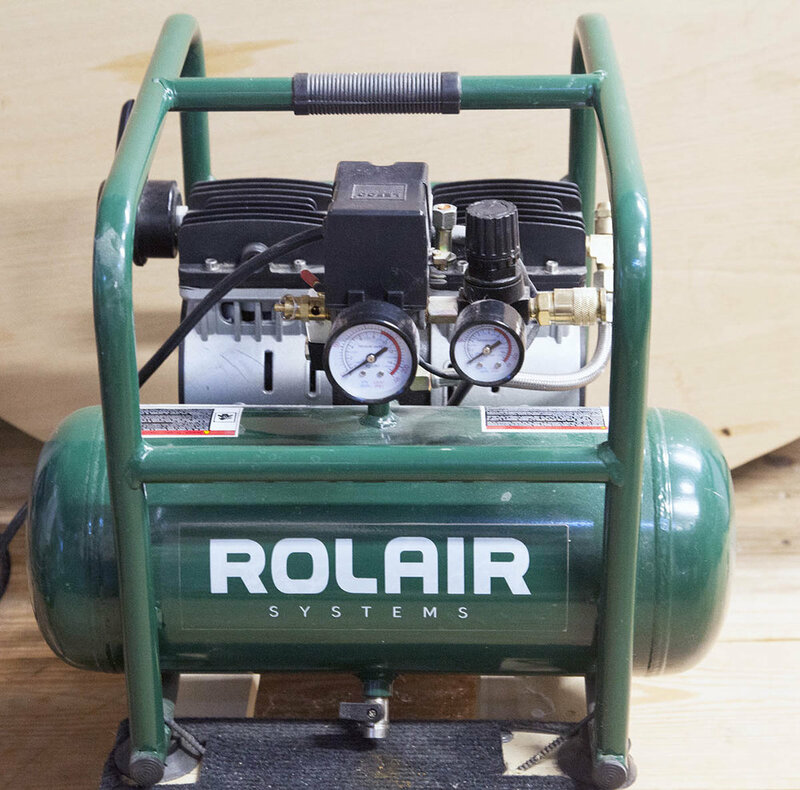 If you are serious about CNC plasma cutting this is the minimum compressor I recommend. There are a few other things that affect the amount of air that reach your plasma cutter. One that I discovered early on was hose diameter. A 1/4” air hose can really restrict the quantity of air that you will get down the line. Even a 3/8” air hose was borderline when using my Hypertherm PM65. I eventually ran 1/2” PEX tubing from my compressor to the location where my plasma CNC was located. 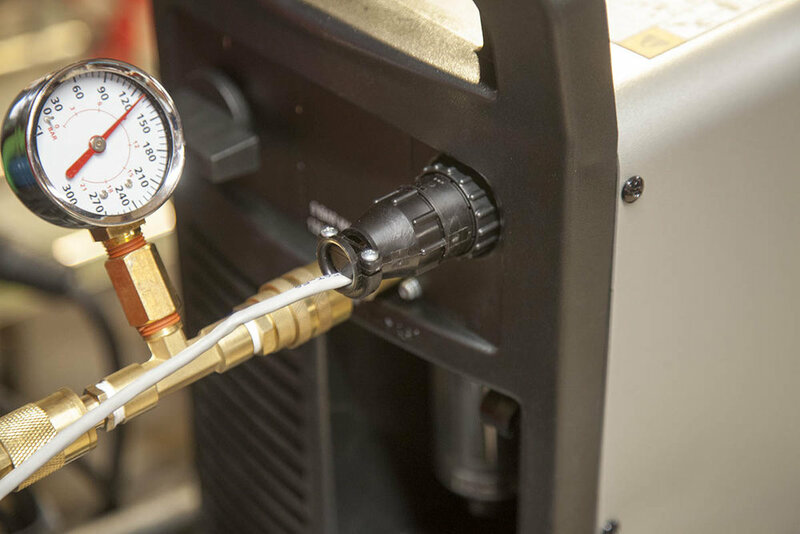 In addition to the hose, each oil filter, water filter, and regulator your air must travel through will reduce your overall air flow at the plasma cutter. This takes us into air quality, as you must connect certain filters in order to get clean and dry air. Both the Everlast and Hypertherm machines have a included water separator. This water separator is only to keep large volumes of water or oil from entering the cutter and should not be used in conjunction with additional filters. My compressor outputs up to 155 psi when it is full. This can be a little much for the plasma cutters input. It does not have a regulator built-in so I added this one. It is set to 110 psi. My compressor is set to kick on at about 110 psi, so I dont see any fluctuation on the output of this regulator. 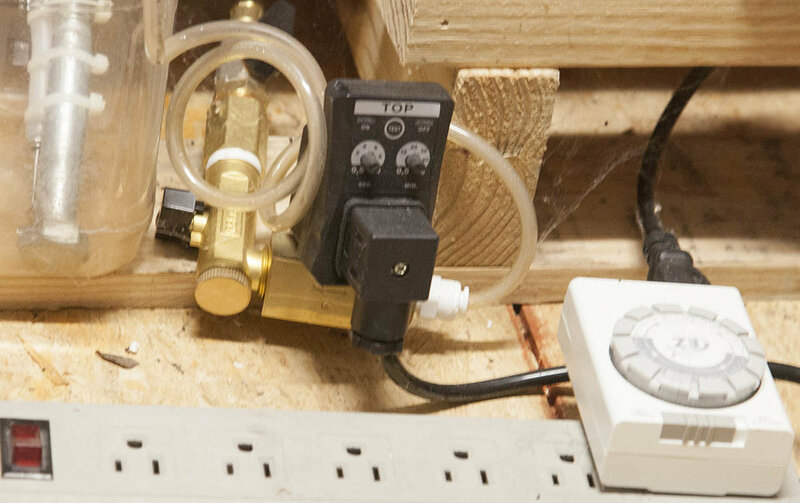 After the regulator I have main shutoff, which allows me to kill the pressure to my whole system if needed. This is a combination coalescing and desiccant two stage filter. This filter includes a desiccant that will change from blue to pink to indicate it is time to change or recharge. This filter should be located downstage and located near your plasma cutter. I run 1/2” PEX from the compressor regulator and shutoff valve. If I need to change or recharge the desiccant, I shut off the air pressure to the system first. To recharge I dump the desiccant onto a paper plate and dry in 50% power in a microwave until it turns blue. The output of the filter connect to the Everlast filter, as shown here. It connects to the Hypertherm filter, as shown here. Note the removable pressure gauge I have installed here. I use this to help tweak the system. I normally remove it once I have my system all setup. The system shown here will work very well for my systems. But I must say, my shop is a very dry shop. The humidity never gets above 40% and in fact, most of the time its below 30%. Moisture is pulled out of the air as it is compressed and will collect in your tank. So even a dry shop will add moisture to the tank. The more humidity the more moisture in your tank. You have to periodically drain your compressor tank. The more oftain you do it the dryer your air. Here is an automated tank drain I built for my system. It drains the tank for about 1 second every 2 hours. Since I installed this my desiccant lasts 3-4 times longer before it needs to be recharged. If it is not an industrial compressor, it has a duty cycle. If a manufacture states it is 100% take that with a grain of salt. That said, I have not found any specifications for the compressors I own to list duty cycle. My rule of thumb is 50% for oil filled compressors and 30% for oil-less compressors. The reason I mention this is that with a CNC doing a lot of cutting, you can push your compressor to the limits. Here are a few things to keep in mind as you use your CNC for plasma cutting. 1. If the compressor kicks on during plasma cutting. Can it keep up with the plasma cutter while it is filling the tanks and supplying the plasma cutter. What you are looking for here is a drop in pressure. If it does start to fall, then your compressor is too small and you will have to take precautions. If the pressure stays steady or increases, you are OK. If the pressure drops, you will have to make sure your tank is full before you start a cut, you then, can only cut as long as the pressure stays in range. Note that it is possible to add some dwell to allow the compressor to catch up. This is really easy to do using SheetCAM. 2. If your compressor can keep up but runs continuously during the cut, then you will have to keep an eye on the compressor to make sure it does not get too hot. Let it cool down before you start another cut sequence.